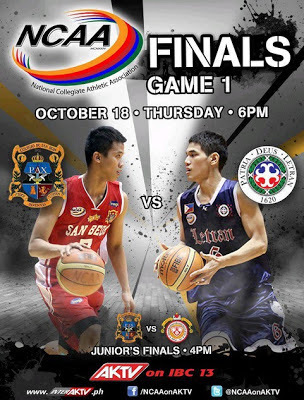 The NCAA Season 88 Men's Basketball Finals is all set and it will already start on Thursday, October 18. Game 1 will be held at the SM Mall of Asia Arena and the rest of the games will be at the Smart Araneta Coliseum. 2 of the oldest schools in the NCAA, San Beda and Letran will face-off in this year's NCAA Finals. After several years, Letran is finally back in the Finals. They will try to unseat the Defending Champs, San Beda Red Lions.